Learn about the value behind masonry restorative services. It’s no secret that masonry has existed for close to 6,000 years. And while the process has become more uniform and less common, for many, the aesthetic of layered brick or stone has no equal. Buildings constructed with brick and mortar serve as historical artifacts and markers of the past, reminding passing pedestrians and frequenters of these older buildings of America’s rich cultural history. But despite the durability of masonry construction, these structures can eventually look a little worse for wear, especially after a hundred years (or more) of constant use. Masonry restoration is the art of bringing a masonry structure back to its original form or improving upon the original construction. A variety of different methods can be utilized to reinvigorate an older property, and they’re often used in tandem to produce a desirable appearance. 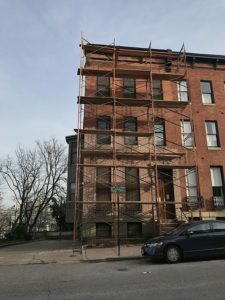 Do I Really Need to Restore the Masonry of My Building? If your commercial or residential property is maintained well, and occasionally repointed (a fancy way of referring to the process of repairing joints with mortar or cement), then you’ll likely never need to restore your masonry. However, many antiquated structures without reinforcing material, such as rebar or concrete, may require retrofitting – even if they appear structurally sound from the exterior. These masonry buildings are called Unreinforced Masonry Buildings, or UMBs, and they run the risk of toppling over in areas where earthquakes occur frequently. Think you’re in the clear because you only have a brick or stone veneer on the outside of you building? Think again. Mortar may need to be repaired between bricks or units, since veneers are more prone to water damage and leaking. Tuckpointing Can Leave a Façade with the Look of Perfection. Tuckpointing is the act of using two contrasting colors of mortar in the joints of brickwork, one color matching the brick itself to give the appearance that fine joints have been made. Often the old mortar is routed or ground out, and replaced. The definition of this method is often conflated with repointing (to fill in or repair joints on brickwork that are damaged, cracked or crumbled in older masonry), but make no mistake – tuckpointing is largely completed for visual symmetry. The two often go hand-in-hand during restoration however, which may explain the confusion. Repointing Is the Meat-and-Potatoes of Any Restoration. The process of repointing starts with a mechanical angle grinder, which is used to removed damaged mortar between horizontal joints. Any remainders can be scraped out with several different devices. Then they are filled in with new mortar which matches the pre-existing mortar’s type. Maintaining functioning mortar joints in a masonry building is crucial to avoiding structural collapse under stress. But the most common reason for repointing is to prevent water penetration through de-bonded, cracked, or deteriorated mortar joints. 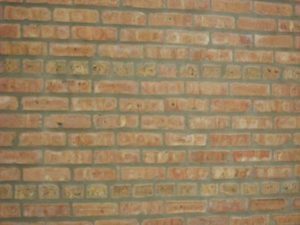 A brick wall will last around 100 years without needing repairs, but the mortar joints will likely hold their own for only twenty to thirty years. If they’re crumbling, cracked, or leaking, it’s probably time to get some repointing done. Brick Replacement Keeps Structures Sound. This might not be an easy choice for building owners who are purists and wish to preserve a certain look or material. After all, newer brick has more compressive strength and is less permeable to moisture. 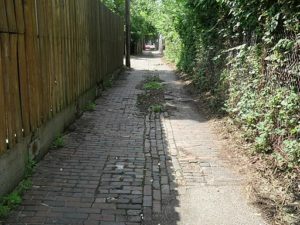 Salvaged and historical bricks are available; however, they are seldom recommended because of their unknown durability. But the proprietors of structures with eroded or damaged brick may not have an alternative. The integrity of a wall depends upon collective strength of each brick, after all. 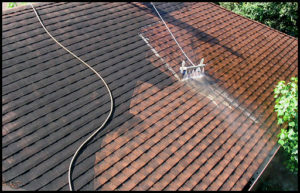 High-Pressure Chemical Cleaning Will Give an Old Structure that New-Building Sparkle. Chemical cleaning employs acid-based cleaning compounds to break carbon buildup, stains, and pollutants from the surface of brick, granite, or stone masonry. Cost-effective and non-invasive, this is often a go-to for those looking to improve the aesthetics of their building on a budget. With that said, there are a few cons to this approach. With such powerful chemicals, windows and stained glass are at risk for degradation. High-PSI pressure washing can be quite hard on finely carved stone, column fluting, and other minute details. We recommend only going this route once in a blue moon and ensuring that an effective sealant is applied afterwards. 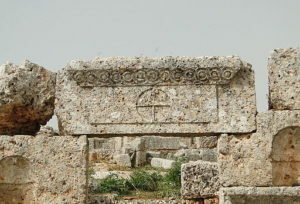 Lintel Repair is More than Meets the Eye. First, we’ll start by explaining what a lintel is, since it’s not an element of masonry that is typically exposed. Lintels are steel sections that are fastened above the windows and doors of a masonry structure, which act a shelf for the brick or stone above. A few tell-tale signs that you may have lintel damage are: cracking around window panes, dropping or displacement around window arches, or bowing brickwork above doors and frames. In older buildings, lintels were constructed of wood and tone, which made them susceptible to dry rot, fungus, and swelling. Nowadays, lintels primarily consist of steel, which are still subject to corrosion, but feature greatly improved longevity.